I am interested in the opinions of any experienced tile-setters here as to ceramic tile or stone laid on concrete regarding crack isolation. I am building a new house with lightweight concrete poured on the main floor. The mix has fiber mesh and polymers added to limit cracking. 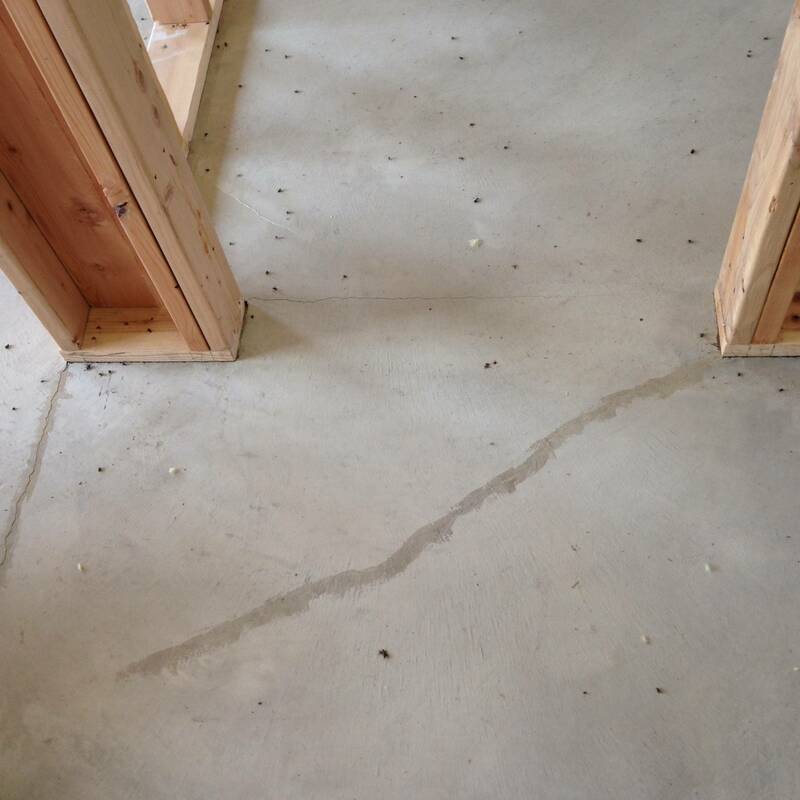 I purposely added some plastic corner bead to the floor before the concrete was poured to create control cracks in specific locations. Mostly across the doorways. I have attached some pictures here. I have filled most of the cracks with polyurethane caulk and will fill the other before setting tile. This summer will be 2 years the concrete has been down and I believe it has cracked as much as it is going to. The house is heated with PEX tubing in the concrete slab and the slab will be brought up to room temperature and kept there for 72 hours before laying tile. I am also planning to paint one coat of Red Guard 6 to 8 inches either side of these cracks before laying tile. I am thinking a membrane laid in just one spot will raise the tile too much. I am going to try to align grout joints with the cracks and fill those joints with sanded caulk instead of grout. What would be the best practice for laying tile directly over these shrinkage cracks? Thanks for your help and happy day! 1) fiberglass backer mesh on all surfaces. since its concrete, probably a 2 oz is fine. your fiber admixture makes the slab stronger, but a layer of sub-mortar mesh ensures that the tiles move together if the slab moves or cracks. this way you have less chance of tile breakage. 3) on your joints, try to set your tiles up so that the grout doesn't land right at the expansion joint, but about an inch short of it. that way your transition can actually span the joint instead of a tile or the tile grout. if you aren't using transitions (ie the tile carries right through), then you can wax that little 1" strip of concrete before you lay the tile that laps the expansion joint. this way if you do have movement in the slab, the tiles can slide on the lip and you wont get any breakage. Not the answer you're looking for? Browse other questions tagged concrete ceramic-tile or ask your own question. Will this floor tile break? 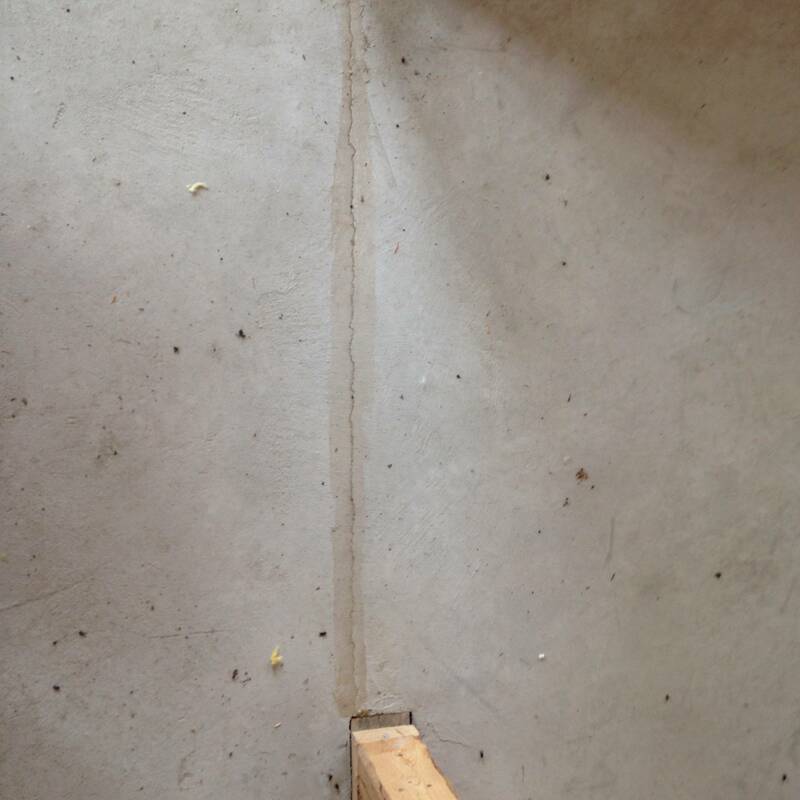 Is it normal to find cracks in new concrete? What could cause my Kitchen tile flooring to come loose and start lifting? Why is there sand/gravel under clay tile In a toilet room rather than concrete slab?